This homemade costume for boys entered our 2011 Halloween Costume Contest. This is Jax. Super Jax. Defender of Lego cities. Destroyer of his cousin's evil Barbies. Fearless. Hilarious. And ALL boy. Love this little dude, and he is all mine! Okay, I'll bite. 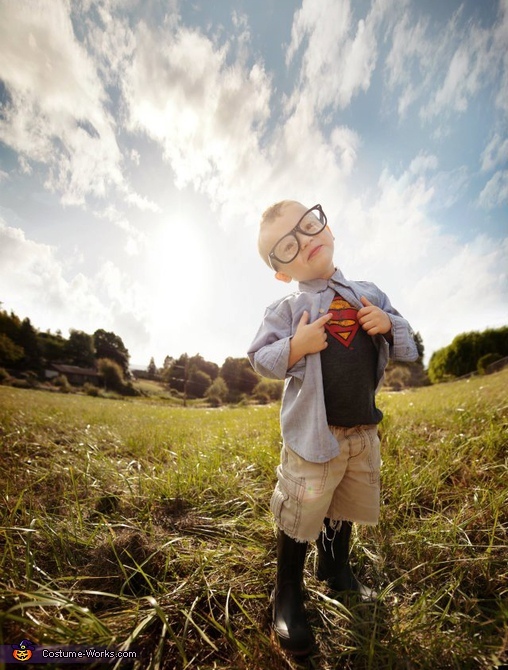 :) This boy is a super hero through and through. He recently braved an accident that would have had me sobbing like a baby for days. He maybe cried for 2 minutes...including the IV process needed for the sedation to get his stitches. Brave isn't the word...super, yes, this is one supernatural kid.